Hewitt Shaw focuses his practice on the representation of privately owned and entrepreneurial businesses. With a deep understanding of the nuances and intricacies that arise out of such ownership, Hewitt advises clients on the unique issues and often complex familial and business relationships at play. Respected for his focus on his clients' companies, he often serves as a business advisor, sitting on a number of client boards to provide an additional level of operational input. When counseling clients on taxation and transactional matters, Hewitt combines his financial and accounting backgrounds to develop analytical and sophisticated tax structures that address the financial aspects of his clients’ business transactions and operations. Hewitt is the managing partner of BakerHostetler's Cleveland office. 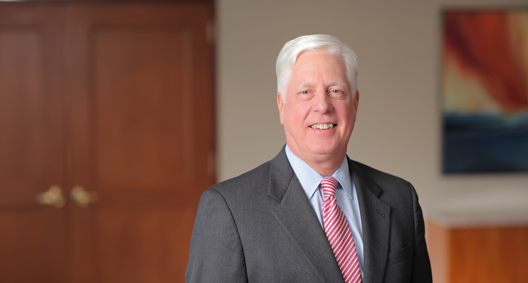 He previously served as the firmwide Legal Services partner and chair of the Tax Group. Hewitt has been listed in The Best Lawyers in America© since 1995 and was named a 2012 Cleveland "Lawyer of the Year" in tax law. Represented the majority owner of a closely held family business in the purchase of a minority interest from a private equity firm investor. The purchase was followed by the sale of the entire business to an alternate private equity firm, which required consolidation of ownership. Established the liquidating position of the client in transactions with a combined value of $100 million. Represents a retail corporation in all aspects of business and legal operations. Has been involved in the acquisition and disposition of product lines for the client during transactions valued between $10 million and $50 million. Guided the client through the buying and selling of brands through licensing deals in the business market, including the facilitation of deals to put the client's brand name on merchandise during the development of product lines. Expanded the client's market across borders through international arrangements in England, establishing a worldwide market. Involved in the tax planning of all U.S. acquisitions while holding major relationship responsibility for the U.S. transactional activity of a foreign public company. Represented a private, family-owned consumer products company during its sale to a large public company in a tax-free reorganization. As a result of the transaction structure, the client received stock valued at approximately $500 million. Continues to represent the family in the ongoing ownership of stock and public investments following the sale. Represented a family-owned consumer products company in a complicated sale valued at several hundred million dollars to a large public company. Created a tax structure to increase the selling price of the company by structuring tax advantages for the buyer. Structured, negotiated and managed the sale of the main product category of a consumer products manufacturing and distribution company owned by multiple third-generation family branches to a main competitor for more than $100 million by auction process, requiring governmental approval and resulting in other product lines continuing to be owned and operated by elements of the selling ownership group.